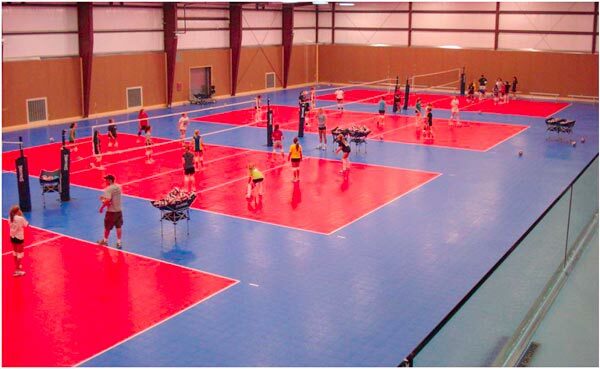 Are you a serious volleyball player? 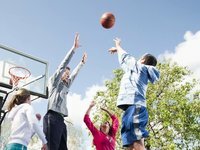 Discover what so many others have already learned; a volleyball court by Lake Shore Sport Court is the superior choice to reduce shock and wear and tear on joints and limbs. 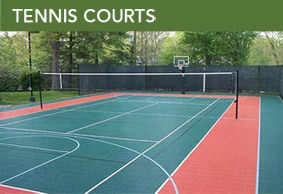 So let the expert court builders Lake Shore Sport Court build your team a Sport Court® volleyball court! 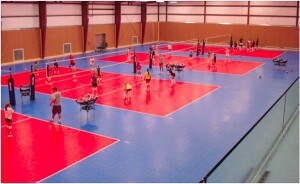 Volleyball clubs and teams particularly enjoy having “a volleyball court of their own,” in their sports facility with team-color distinctions between inbounds and out, rather than playing on someone else’s basketball court.